Nick Sula is a pianist, composer, arranger, and award-winning music director for theatre and cabaret. Born and raised in Chicago, he earned his degree in music from DePaul University. Theatre credits include Black Button Eyes Productions (Nevermore, Amour, Coraline), Porchlight Music Theatre (music director: Applause, New Faces Sing Broadway 1972, pianist: Ragtime, Secret Garden, Sweeney Todd), Bohemian Theatre Ensemble (Myths and Hymns, Pippin, Hello Again, The Glorious Ones [Jeff Nomination], La Cage aux Folles, Jekyll & Hyde), Chicago Opera Vanguard (Orpheus & Euridice, Reagan’s Children), Light Opera Works (Chorusmaster: The Music Man, Oklahoma), White Horse Theatre (Merrily We Roll Along [Jeff Citation for music direction]). 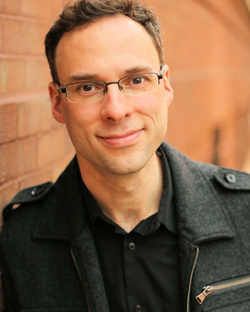 Nick's compositions and arrangements have been performed on stage and on national television, with multiple musical contributions to The Serious Theatre Collective and Green Screen Adventures. Recent cabaret projects include vocal arrangements and music direction for The Boys in Briefs (Pride Films and Plays); vocal trio With a Twist; Fleetwood Mac tribute Say You Love Me; and WOZ, a rock & pop retelling of the Wizard of Oz. Nick is an instructor, music director, and vocal coach at the Chicago College of Performing Arts at Roosevelt University. He is also a member of the Chicago Cabaret Professionals, performing often at Davenport’s Piano Bar and other cabaret venues in Chicago. With entertainer Scott Gryder, he performed long-running cabaret act Simply Scotty at 3160 Piano Bar for over 4 years, and the duo can be heard at venues such as Davenport's and The Twisted Vine.